I visited Kamersvol last year at Lourensford and wished I could leave with far more than my suitcase could carry. 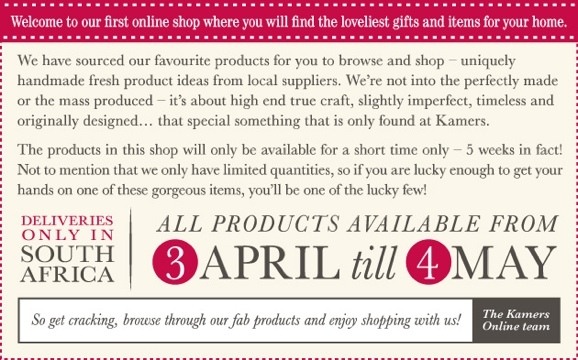 Now there’s an opportunity to shop online – for one month only! Click, click off you go! Thanks Ashe! Hoping Durban will be bitten by the bug!